Receptionist Jobs | New York City (NYC) | Millennium Personnel Corp. The Receptionist is often the first person you encounter from a company. 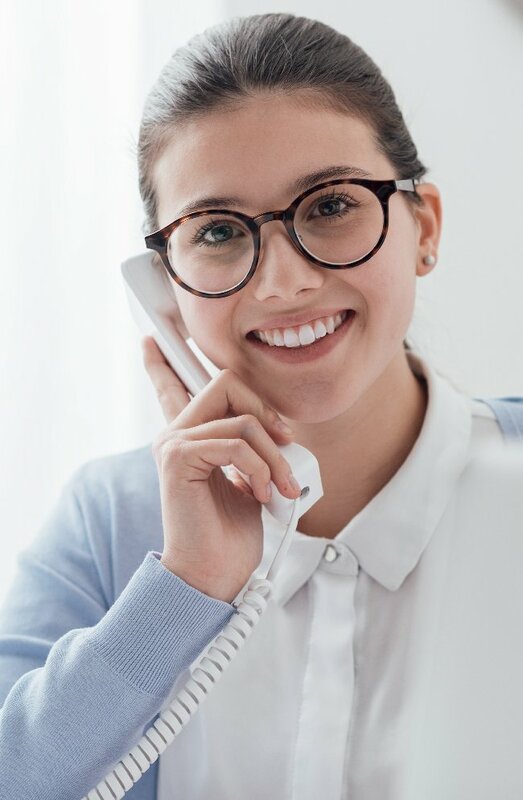 Whether you call on the phone or visit in person, Receptionists set the tone for the company and determine the experience that the clients will have. The person who handles reception work needs to be polite and articulate and have excellent presentation. Above all, they need to be excellent communicators and have great phone skills. They will serve as the first point of contact to your clients and be responsible for taking messages, transferring calls, as well as responding to various emails. Reception work also includes the ability to recognize certain clients by name or sight. This will provide the clients with a welcoming feeling. The other tasks incorporated in Receptionist jobs are distribution of mail and packages and scanning of documents. Certain companies may ask the Desk Receptionist to stock office supplies or set up conference rooms for guests. Receptionists can easily get promoted to other positions such as Office Manager, Administrative Assistant or Executive Assistant. The skills of a Receptionist are easily transferred to many other job openings. It is important for a Receptionist to be punctual and responsible because many times he/she will be in charge of supervising the front desk reception area. Additionally, they will also be responsible for maintaining the organization and tidiness of this common area in the office. The Desk Receptionist will have contact with many different company employees. They will get to know clerical workers, Administrative Assistants, Executives, and company Directors. Therefore, Receptionists will definitely get a chance to network with all personnel in the company, as well as the company’s clients. If you need help finding a Receptionist in NYC, please call us at 212-244-2777. We have both Receptionists and Administrative Assistants available for immediate openings. Immediate hire is our specialty. If you need help finding reception work in NYC and are in need of a top-notch job placement agency, or need help writing a resume, please email us at info@staffingnewyorkcity.com. We’ll help you find the job you love.